Native to East Kilbride, in the west of Scotland and near to Glasgow, her natural accent is gentle and neutral but can be strengthened if needed. 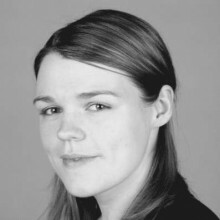 She has trained at the Royal Conservatoire of Scotland, including a five-day intensive course on voiceover technique. Her voice has a lively and youthful quality to it and is capable of playing characters of a very young age – making her perfect for materials aimed at children and young people. As well as advertising work, she is a strong sight reader and has a vocal clarity and stamina that makes her ideal for longer corporate reads.